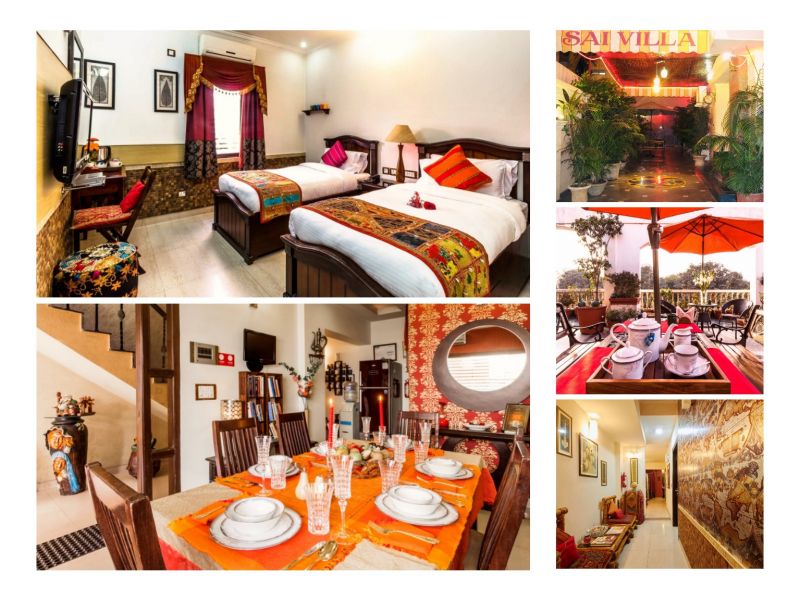 ﻿SAI VILLA welcomes you to their award winning b&b and serviced apartments in New Delhi, located at posh Greater Kailash-2 on main road, a stroll or a rickshaw ride away from various good shops and restaurants. 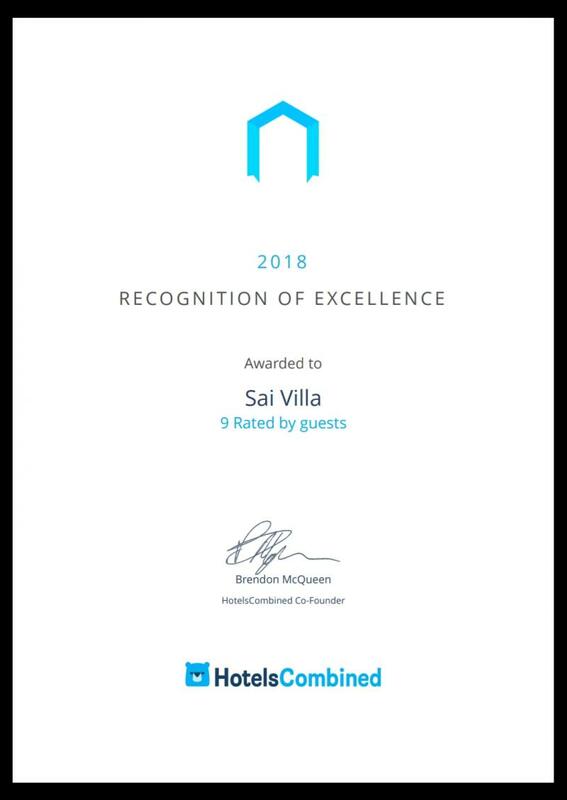 Sai villa in its journey of last 10 years has been regularly written about and featured in reputable travel magazines,﻿ newspapers, popular online review sites and blogs. At our property all in-house guests are treated warmly and complementary breakfast is freshly cooked each morning in both Indian and Western style and served between 8 AM to 10:30 AM. There is a common terrace garden and rooftop at Sai villa, where our guests can relax. 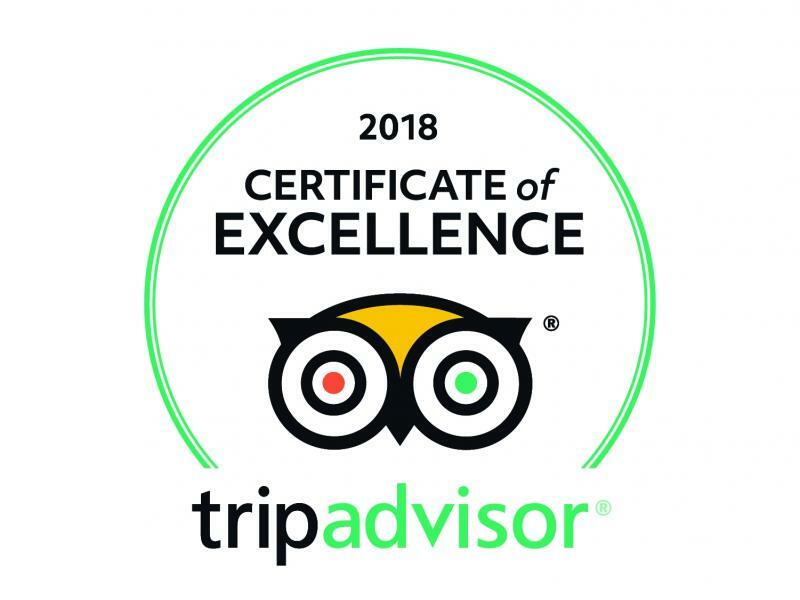 All our in-house guests (not for parties or events) gets complimentary tea, coffee, soft drinks, drinking water throughout their stay and can order meals from local restaurants and the staff will do the rest. You have option of selecting between two category of rooms or service apartments, both category of rooms are with effective airconditioners / heaters, attached en-suite bathrooms and are absolutely clean, spacious, modern and well designed. Beds are equipped with comfortable thick spring mattress and undoubtedly the p﻿roperty comes with flawless service. On each day of your stay at Sai villa, you will get absolutely free high speed Wi-Fi connectivity, every room has it's own intercom and telephone facility with free local calls. Cherish your stay at your home away from home, offering top-notch service apartments, holiday home, b&b, homestay and vacation rentals in South Delhi.